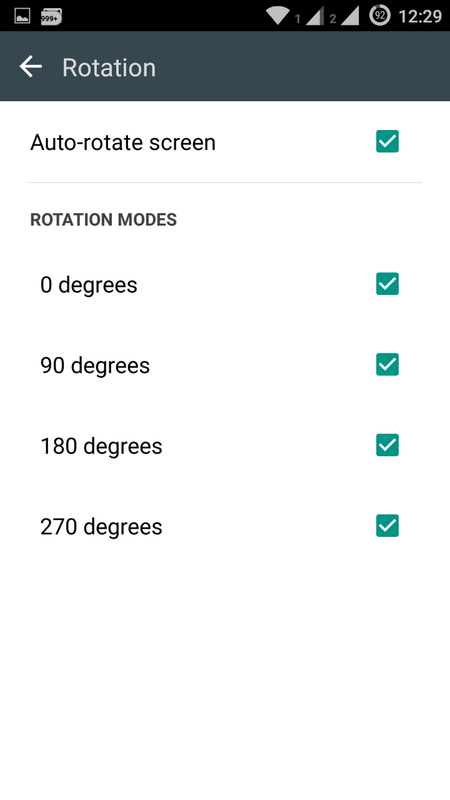 All side screen rotation: You can also enable screen rotation on all sides – top, bottom, right, left. By default upright down i.e. bottom side is disabled. 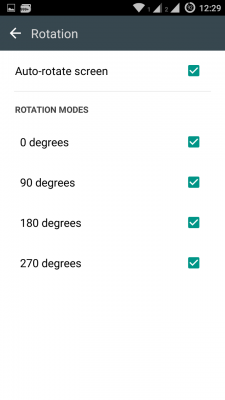 To enable rotation on all sides, go to phone setting> display & lights> Rotation > Select all angles. 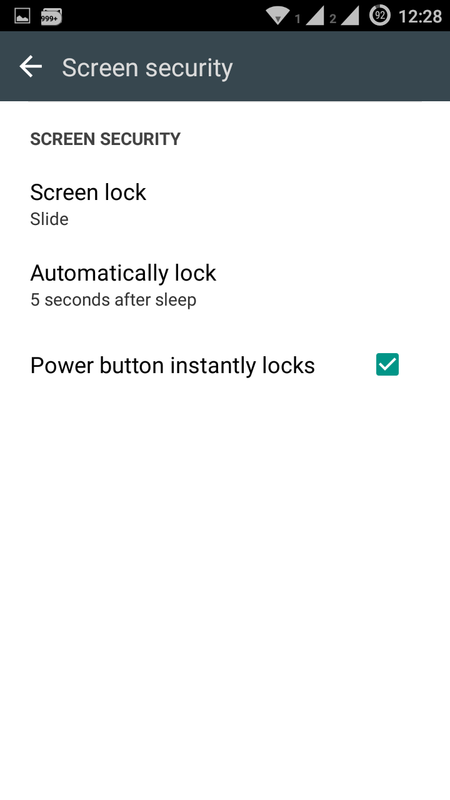 No Screen lock – Why use lockscreen unless you’re using pattern or password based? I do not use lockscreen as it requires another effort to unlock screen by sliding the lockscreen image. With double tap to wake feature enabled, I just tap on screen twice repeatedly and get to work. No extra hurdle or time wastage on unlocking screen after turning the display on. You can also remove lockscreen by going to phone settings > lockscreen > Screen Security > Screen lock > None. 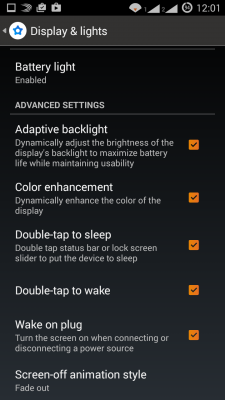 Double tap on status bar to sleep – Since, we can wake/turn on display by double tapping anywhere on display, what if we want to turn off the display quickly after some work on Yureka? We can press the power button, the traditional way, or we can double tap on status bar, the modern intuitive way. Just double tap on status bar (top position where time, date, network strength, etc display) and the display will turn off. Make Yureka feel faster, swifter – Go to phone settings > about phone, scroll down and tap repeatedly on build number five times to enable developer options. GO back to phone settings > Developer options. You’ll see lots of options there, do not mess with them, scroll down until you find Window animation scale. Change its value to 0.5x. 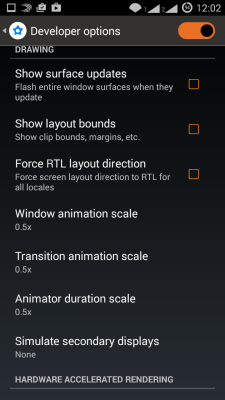 Likewise, change transition animation scale and animator duration scale to 0.5x. This will make your phone feel more snappier and faster. Long-press back button to kill current app – You can also enable this option in developer tools, scroll to the bottom and tick this option. 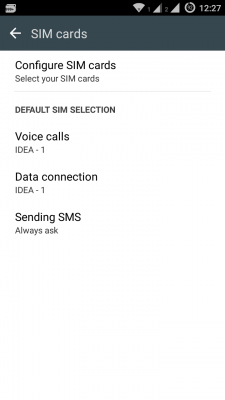 Ringtone for 2nd sim card: In setting> sound menu>phone ringtone, you can set the default ringtone for mobile but it doesn’t have particular for which of the two sim cards. 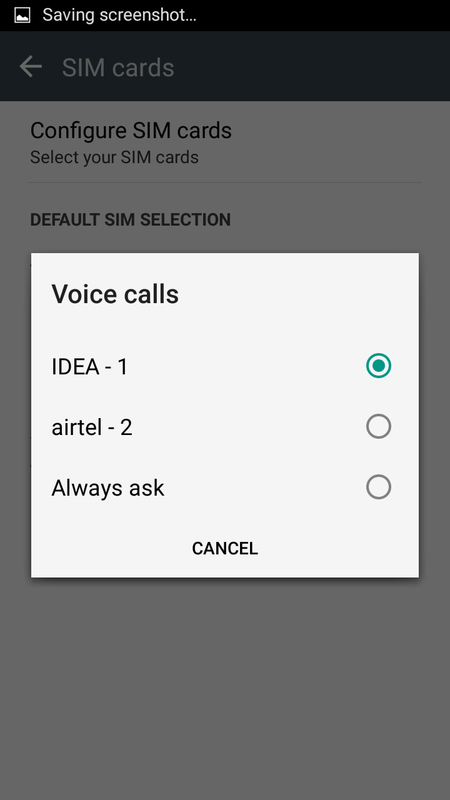 You can set different ringtone for each of the two sim cards in Yureka by going to Dialer from homescreen and then enter its setting by tapping on three dots at the bottom or by hitting on menu button. You’ll be able to select ringtone of each of the sim cards from there. You can also adjust other call related settings for 1s and 2nd sim cards, like vibrate on hangup, on answer, on call waiting, etc. 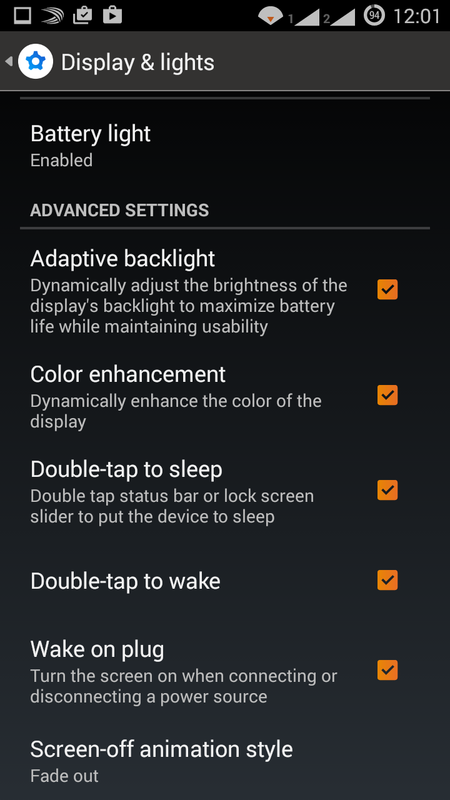 Adaptive backlight and Color enhancement – Under phone setting > Display & lights, you’ll find these two options – Adaptive Backlight & Color enhancement – tick these to enable them. Adaptive backlight adjusts led screen backlight optimally to ensure better battery life and balance of display brightness. Color enhancement, like Sony Mobile Bravia Engine for Sony phones, enriches colors on Yureka so this makes your movies, videos look more color-rich, vivid, magnificent and kind of awesome. 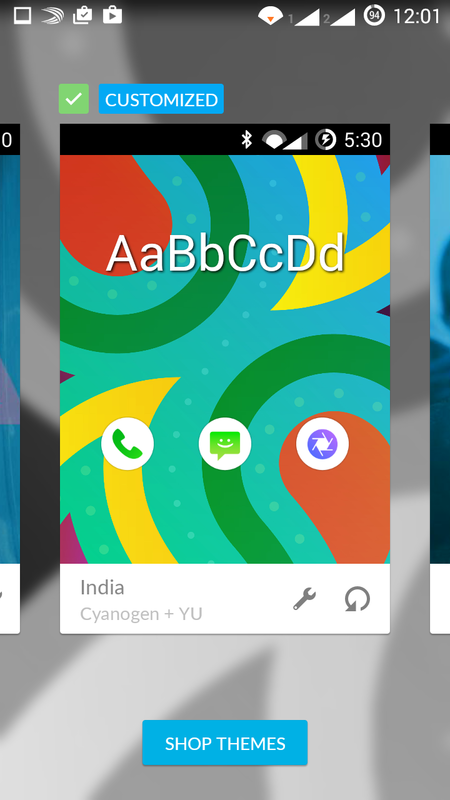 CM themes – You can change to a different look on your Yureka without changing the launcher. The default toggle icons, navigation keys, fonts, wallpapers, styles, padding, color schemes of notification window, app icons, boot animaton, etc – all can be changed and a theme usually contains all these elements. Just tap and hold on homescreen or press menu/option button on homescreen and select Themes option. CM themes app will be launched, you’ll be required to create Yu account and accept T&C. Do that and then it’ll list all the installed themes on Yureka. Tap on Shop Themes button and it’ll list around 12 free themes for you to choose. Download and install any of the themes. Again go to themes menu and select the desired theme and apply it on your phone. Enjoy the new look. You can install as many themes as you want. For more themes, just go to Google Play Store and search for CM themes, you’ll get many free and paid cm themes on play store, including lollipop style themes (I like this one). Install them from play store and enable them from themes menu. 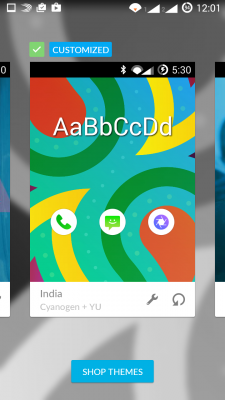 You can even customize these Cyanogen themes, in the themes list i.e. installed theme chooser window, beside every theme name at the bottom of the preview, wrench icon is there, tap on it and you can customize certain elements of the theme i.e. you can choose fonts from a different theme, boot animation from a different one, and keep the style from the current one. 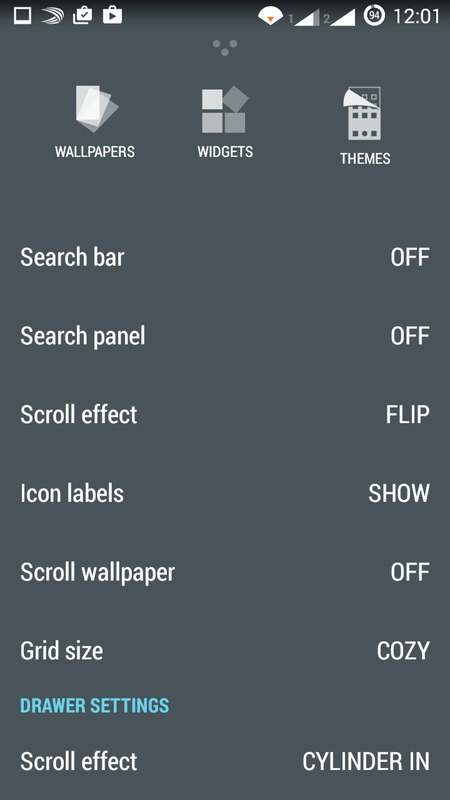 CM Launcher Options – When you press menu/option button on homescreen, you get three options – wallpapers, widgets, themes. Just above these options, you’ll notice three dots in up-arrow form, press it and a list of homescreen customization options appears. 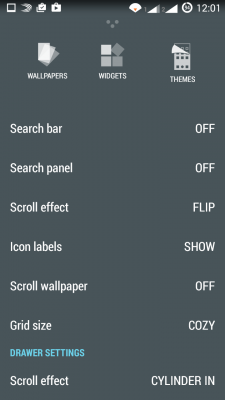 From there, you can turn off Google search bar, Change the homescreen scrolling animation, turn off wallpaper scrolling on homescreen, or change grid size(number of apps shortcut icons in a row/column). Change scroll effect for homescreen and app drawers and see the effect. Onscreen navigation keys – Yureka has three capacitive physical keys but those users who are accustomed to on-screen keys hate physicals keys and vice versa. Many users prefer physical capacitive keys because it doesn’t eat up any of the screen space. Many users prefer onscreen navigation keys because onscreen keys are customizable in their design, size, and numbers. Whatever side you’re on, Cyanogen will not disappoint you. If you prefer onscreen keys, you can enable them by going to phone setting > Buttons > Enable on-screen nav bar. When on-screen nav bar is enabled, physical capacitive keys are automatically disabled and vice versa. Now tap on Buttons and layout to change on-screen nav keys position. Tap on Lock button on the top bar in Buttons and Layout window and then you can drag and reorder buttons at the bottom(Drag back button to the right if you’re habituated to physical keys). Add more buttons by tapping on + button. After making the desired changes, tap on lock button at the top again to save those or reset button beside it to revert to default on-screen nav key. The design of the on-screen keys can be changed by installing different cm themes (for example, you can get lollipop style on-screen nav keys on your kitkat based Cyanogen os). Physical capacitive keys – If you do multitasking on your smartphone, you often switch to another app by using recent apps menu, you need to hold menu for few seconds to bring up recent apps window, this process is cumbersome. The good news is, you can change this behavior. Go to phone settings > Buttons> Under Menu Button subheading, Short press action > select Recent apps switcher, and under long press action, select Open/close menu. This way, you can change reverse default behavior of menu button so now you can easily switch to another app by pressing menu button once and selecting desired app from recent apps switcher window, and I recommend this because most of the apps already have menu button in their interface so you won’t often need long-press physical menu key for options. Under Home Button subheading, you can change double tap action to launch voice search (my recommendation). Dual sim management – A big demerit of Cyanogen in Yureka is that the default dialer doesn’t have sim1 and sim2 button to dial from the desired connection directly. Under phone setting > sim cards > Voice calls, select always ask so that each time you dial any number from dialer, you’ll be prompted to select sim1 or sim2, but if you do not use one of the sim cards for calling, you can set the default sim card for voice call here and then you’ll not be prompted to select sim card during dialing. The same can be done for sms. Here you can also set the default sim card to be used for connecting to internet. Always ask option is good to compensate for the lack of sim card buttons in dialer but there should also be toggle button to easily switch the default active sim card for voice calls in notification toggle. 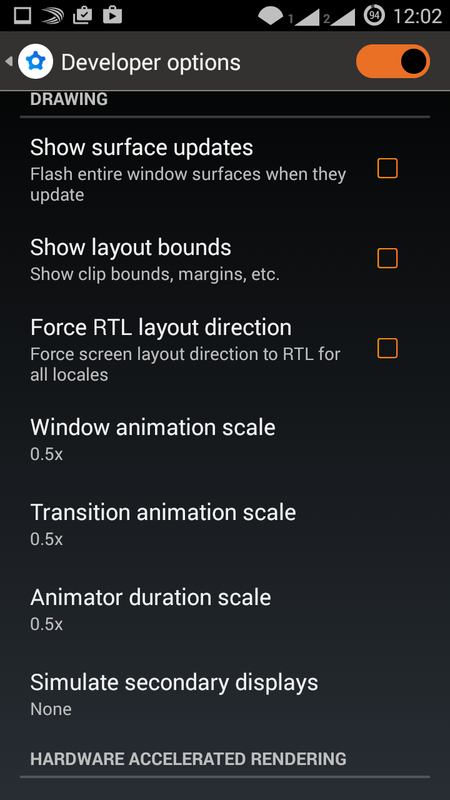 Hidden Performance setting/Performance toggle – Cyanogen in Yureka doesn’t have performance menu in Setting because it is hidden. Performance menu usually consists of performance settings like cpu balanced or performance mode, etc. The default is balanced which is optimal balance of performance and battery life. You can change to performance mode in which cpu tends to hit its full speed frequency quite often, but this may result in slight lower battery life; or you can change to powersave mode, which as the name suggests, is favorable to longer battery life. There are two ways to access performance setting. First Go to setting menu and tap on Search button at the top, write performance, select the same, tap on ok button and then adjust the desired setting as you wish. This is slightly cumbersome process. Well, the second way is very easy, which is via toggles button from status bar. Go to toggles page from notification window and tap on + button and select performance profile from the list of several toggle buttons. It’ll be added and shown in toggle page window. Now whenever you feel like you need to be on adrenaline, switch to performance mode by tapping on performance toggle button. We’ll keep updating this page with more Yureka smartphones tips. Feel free to share your findings, tips in comments below! My Yureka after factory reset he has automatic voice command enabled. Touch not working. how to disable this function please ans. reply. In this situation u need to use 2 fingers to scroll the page, double tap every time to open anything.Just go to access ability in settings and turn off the talk balk option. Wow thank you.. I had this phone around for few days and I was surprised with all the features cyanogen powering this device with.. Now with all your tips above its truly YU playing God. Please add if anything more to this. Thanks for the feedback, we’ll keep updating the article with more tips/info. Did you mean “more homescreens” or wallpaper on homescreen? I hv download the cynogen new update file of 128 MB … But I m now unable to find the file to update my yureka. Can u tell me the location of the file ? Can we change the background of message window in YU? I was adjesting display. I adjesting brightness ro zero and my screen got blank. Not showing anything. But if I restart phone it is showing the booting after start the screen again got blank . how to solve this problem? Ur great year dil to khush kardeta year…. But in my phone why it’s not showing the sound modes option in quick panel setting…??????? 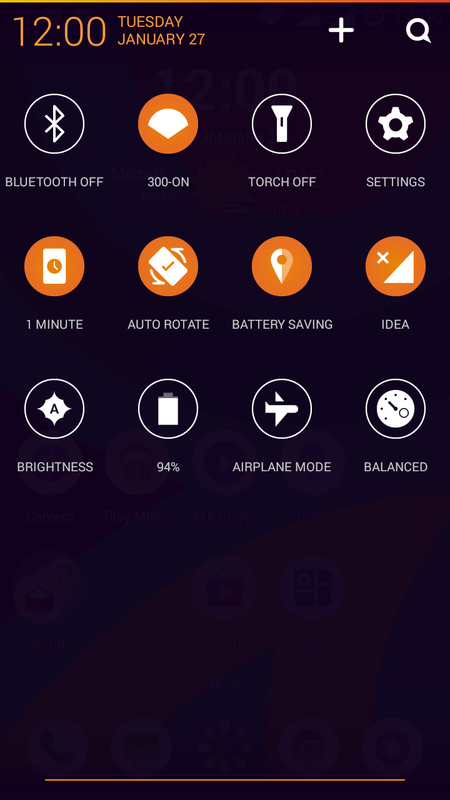 I tried the Make Yureka feel faster, swifter trick but when ever i turn off developer mode, the values resets from 0.5x to 1.0x is this how this is supposed to be? Yeah, you should leave the developer mode enabled. i’ve updated my yureka to cm12.few days back i activated pattern lock in my phone and now i want to unlock pattern lock but when i go to screen lock setting, it shows swipe lock has been disabled by device administrator. please guide me….. I too got into this trouble. Can we change the background of message window in YU? Also how to change font color? Thank You Very much for the tips. God Bless You. Well to turn autocorrect off. Go to to the settings first then click onto Language and Input after that their should be written Android Keyboard (ASOP) on side of that their are three strings like button, click on to that.Scroll down you’ll see autocorrect option click on that and turn it off. 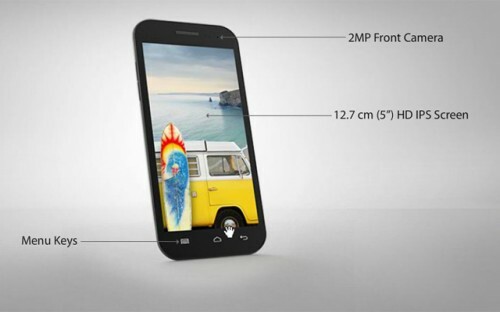 what to do to get Gujrati phonts on this yureka phone… Is it possible ? If it so than let me know it … Thanking in anticipation. There is an issue in Cynogyen. Can you please tell me how to fix the issue. Actually i am connecting through WiFi and after some time i am getting popup from my service provider(vodafone) like money has been deducted. Please assist me how to resolve this issue. whenever wifi is connected, mobile data turns off temporarily and when mobile data turns off, balance deduction message appears for the session before wifi network..
Hi saurabh i am also facing similar problem. I am on tatadocom after ever few minutes balance deducted message is coming with 0.10INR.This is very irritating as i am on wifi & never use mobile data. I am facing a problem in YUREKA. Whenever I dial or receive a call the screen becomes completely black and I cant perform any on call tasks like call record. Kindly help with that. Are you on the latest cyanogen update? I have the inbuild softwate. I have checked for update and it shows the system is up to date. I am also facing this kind of problem. 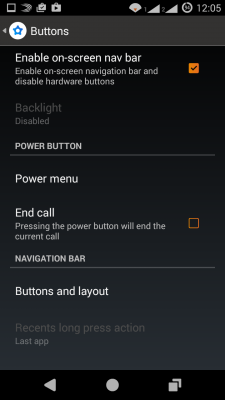 When call is arrives or outgoing call display light getting black I not able to cut the call . how to this pls help me.. I am facing the same issue. Please advise on this Saurabh ! Whenever I open dial pad my mobile restarts…its too frustrating.. Whenever I have to call someone urgently..its restart automatically..
Plz help if u can…. It would really be helpful if u can guide me how to show all the notifications (like whatsapp, gmail) on lock screen whenever I get a new email or ping. I tried to switch ON Heads up in Notification drawer, it is showing me the notification but it is showing the latest single notification only not all the notifications which I got after I locked the screen. And it is allowing me to reply to that person which should not allow. Please guide me. I want this option anyhow. Dial *#*#7769#*#* if ur system is up to date and proximity calibration window will popup just hit start and when it shows calibration good hit stop and exit ur issue will be resolved. It may hide your Senser which makes your screen blank while calling.. I am unable to write ‘p’ when writting a message in Yureka. Also unable to scroll contact list with scroll button. Did you try writing p using any other keyboard app like swiftkey? How to change the option for watching videos using other app. Its default is VIDEO PLAYER. But i want to change it to MX PLAYER. But i cnt able to change it in GALLERY folder ?? Any help . Install another gallery app from playstore. Hi bro i am having the same prob how to solve yar? how to change the video playing on default video player to any other app like mx player. Bro…got to know how to set MX player as default?? 1)I am facing same problem in YUREKA. Whenever I receive a call the screen becomes completely black n cant cut the call. 2) cant read gujrati messages. Is your phone updated to the latest cm os update. where are you changing the settings? In gmail app or the default mail client app or somewhere else? How to manage a data present in memory card of yureka? Use file manager or app like es file explorer. install file manager like es file explorer and then try changing ringtone from setting. you’ll be prompted to choose es explore during ringtone selection process. Images in photos app might be of those in Google account i.e. cloud account and therefore, those takes time and prompts as such. 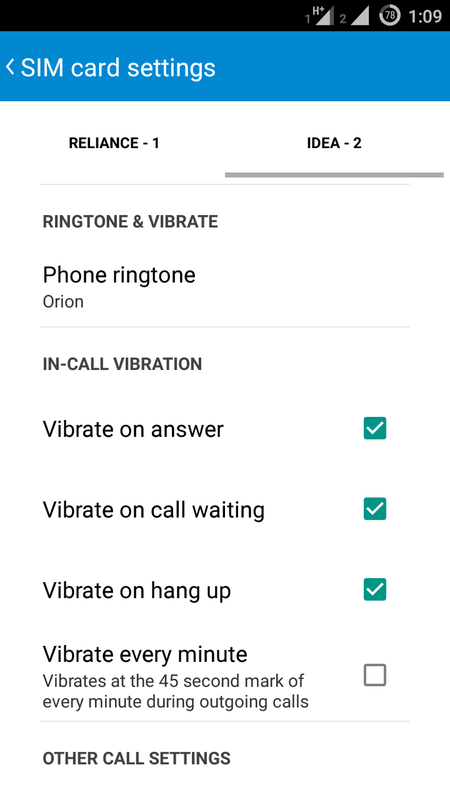 How to change the default ringtone to custom ringtone in Yureka? i was not able to set customize (i.e. Downloaded from Net) ringtone in Yureka. First install es file explorer app. 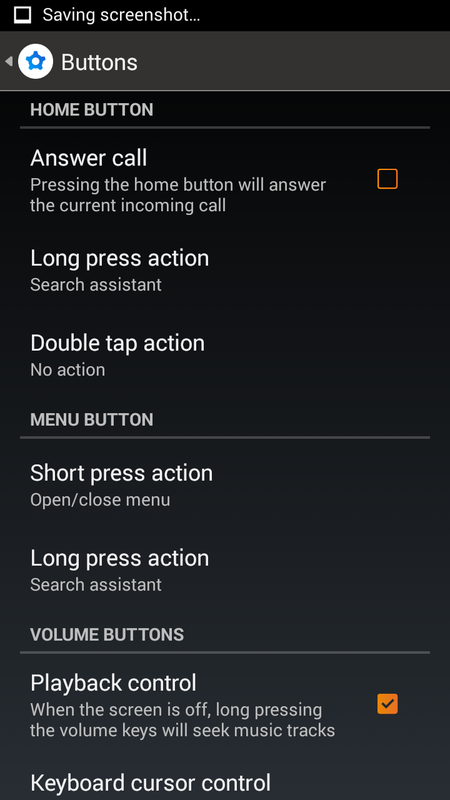 Launch dialer >settings>phone ringtone>select es explorer when prompted>locate ringtone. I can’t delete content from my pen drive when connected by OTG. How to solve the problem of fast battery reducing and law volume of ringtone? Hy.. guess it ll be worthy asking here..
Kindly help me out with first two problems..
You didn’t mention battery usage details. Go to setting>battery and then report here what’s eating your battery juice. Thanks for your previous answer. I would like to ask you one more question that My mobile is not detected by the USB cord to the computer. Whatever the setting I tried but I couldn’t. Even I called to YU helpdesk but they are also unable. I expect my problem would be solved by you. Have you tried: Setting>Storage and then option button and tick/untick mtp connection.. Your phone must be connected to computer during this process. I played music on mobile at that time I could see equiliser when its screen light became off. nowaday I am unable to see equiliser instead black screen can you help me in this regards. Some times when i pluged my head set in the port. The sounds heard from normal speaker only. Some time it works in opposite condition also. In that case i restart my device and done it. Any other software problem? kindly let me know the reasone. How to resolve the problem of balance deduction for data charges, even when wifi is on? I have the Yu Yureka…and while i am very happy with it …. i am unable to cancel calls on screen … it needs me to double press the power button to do that. Also, whilst on calls, i am unable to get the keypad to appear. Did you read other comments where I have mentioned how to change ringtones? Charging Percentage goes on decreasing while the phone is charging. and also it take a long time to charge. What is the resaon? is the same things happen with other guys ..???? recently i have purchased yu yureka i have 2 problems with this..
1) when i reinsert the battery the battery percentage showing so low. startly phone showing 98% of battery when i reinsert the battery the current % is showing 3%..
please sugest me for this problem as soon as. at bhupenders225@gmail.com..
when mobile is connected to pc, pull down toggle window from status bar, usb tethering option will be visible then, tap on it and your pc will be able to use your mobile net. can you please tell me how to increase ringtone volume of this phone when phone ringing? Read other comments, it has been discussed several times..
Did you follow point number 7 listed in the article above? To Mr. Saurabh, Myself also facing the same problem unable to select other ringtones than the default ones, I have gone through your article and tried to do as you mentioned in point no.7, it only shows the default inbuilt ringtones, kindly explain once about changing any other ringtones than the default ones. How to change fontstyle in yureka? You can download new themes with different fonts. While applying themes, just tick font option instead of applying the whole theme. I am not able to see icon names below the Icons like camera ,gallery , photos..etc… but I am able to see icons on my Yureka phone. could you please help on this . Long tap your home screen, on the top of widgets there is an arrow will displayed. Press that icon, you may see option “Icon Label” and enable the option to show. 1)Whenever I want to dial a number directly in my yureka, the dial pad doesnt show, even while I am on a call where I have to press numbers as per IVR instructions, the dial pad doesnt come up even though I press the center key. 2) The quiet hours don’t seem to work even though I have enforced it. Please help to let the phone keypad or dial buttons during call, I am not able to press any button during call. 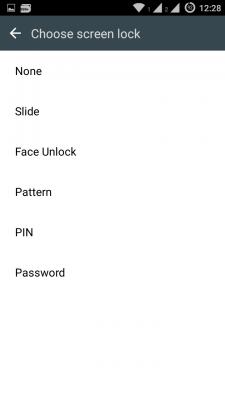 There is also a hidden “Superuser” settings in yu yureka where u can set if only or apps and ADB have access to superuser and also can set a password protection for giving superuser access and also can set timeout…this is really nice feature..you have full control on apps and can decide which apps should have superuser access and which are not.. I have set the ring volume to the maximum in my recently bought Yureka phone, but it is very feeble even at the max. We can hardly hear the ring-sound at a distance of 10 feet. Is this a design problem of the phone or any setting issue? When I plug in earphones.. I am getting TTY notification. How dO I turn it off..
Bought this phone 5 days back . speaker is delivering low sound.is there any way to increase sound.or is there any availability for change of speaker with another in market. Hi my yureka phone left physical key is not working plz help in this regard. How can I transfer document from internal storage to SD card. I got a notification to update to Lolipop 5.0, and i did it. But the fone seems to have got slower, than it was on the earlier version. Also, i cannot get back to the default background theme of the apps/menu button. Fone seems to heat up while using an application. Is there a problem after upgradation? Disable mobile data during wifi.. Turn mobile data on/off if data doesn’t work.. 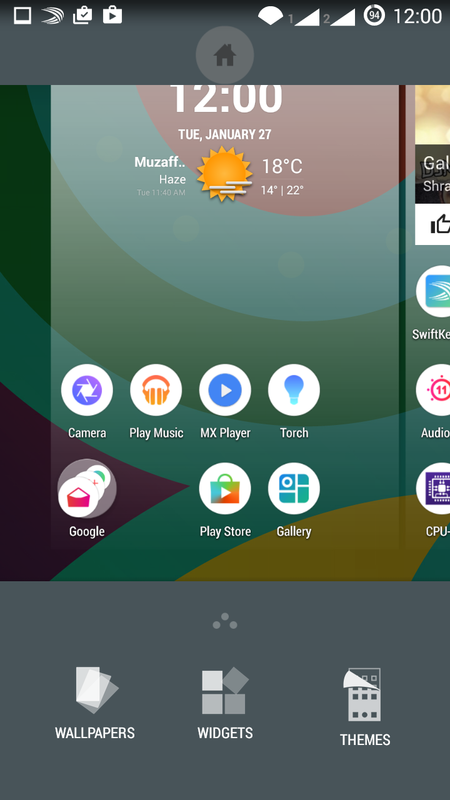 I installed lollipop on my yureka. Now I’m am not finding performance profile option when I searched in setting bar…can you help me with it how to find it. Please give reply. 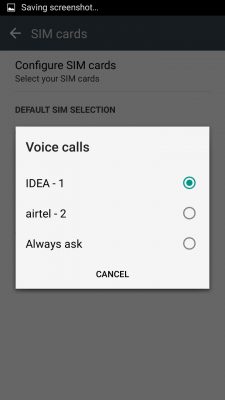 How to start voice calling feature in Yureka..?? My memory is not detecting in the Yureka mobile. But i am able to see that the card is detected in other mobiles. Is this some problem with Yureka devices or some settings i have do. my screen goes blank whenever i recieve a call ? i have updated to the latest OS and my phone is running on Android Lollipop 5. I am facing a problem. I have enabled pattern lock but now not able to change it back to swipe or none. It shows ‘disabled by administrator, encryption policy or credential storage. Please suggest something to remove pattern lock. not able to sign in to my gmail. fb messenger..
and not able to send or dwnload pics videos from whatsapp..
1. I use only one sim and on status bar I want to remove the so-sim icon for 2nd sim. 2. on top left of lockscreen, I dont want the scrolling of Service provider name. Because it shows no-sim-no service for 2nd sim. 3. I dont want to see alarm icon on the status bar. 4. 4-5 times a day sim network disconnects for 2-3 seconds and then re-connects. 5. 4-5 times a day H+(3G) turns to E(GPRS). I googled and tried *#*#4636#*#* and changed to WCDMA only. Then it immediately changes to H+ but after some time shows E and when i check WCDMA prefered is shown. Hi I am also facing exactly same issue mentioned in point 5. Please let me know if this issue is resolved. 1. How to create Playlists in yureka? lollipop update done. 2. SDcard not recognised. 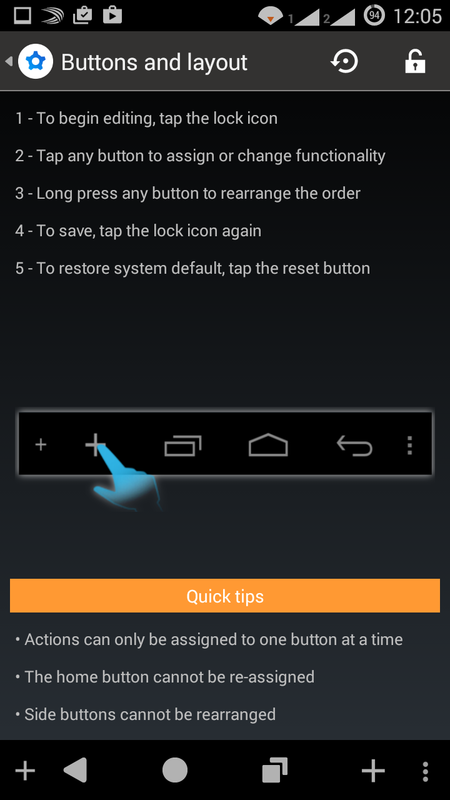 How to get it into the settings –memoey? without Es file explorer etc. Is there a workaround? I am not able to download any app from playstore using my phone’s internet connection however I am using 3G services from Airtel. Alternatively if I am on wi-fi, I am able to download apps. Is there a problem in my handset or there is some setting to enable this feature. How to change the option for watching videos using other app. Its default is VIDEO PLAYER. But i want to change it to MX PLAYER. But i cnt able to change it in GALLERY folder ?? Any help ….pls.. I had given ‘always’ for system video player..
go to manage applications->all apps-> find and open the video player (obviously the system one player) -> clear defaults . I am facing a problem in YU YUREKA. Whenever I dial or receive a call the screen becomes completely black and I cant perform any on call tasks like call record. Kindly help with that. i have updated my device with Lalipop 5.0.
now plz le me know that how can i change my ring/notification tone from my gallary or plz also suggest me about my camera because it capture bluish picture in auto mode with flash but without flash its ok.
can i change fontstyle in yureka …?? How to turn off vibrate on keyboard touch??? Hi, There is So Many changes after i have Updated My Yureka with Latest android Lolipop…i cannot See Many option which was available on Kitkat. So can u please help me hw can switch back to Kitkat or get more Options to make changes. all the verdicts of in call black screen ….. its a problem with your proximity sensor …. just calibrate it …. using code *#*#7769#*#* that’s all … #Yu did it. same as said by TAHIR . OH YU’SERS what’s about the battery life in cmos12s aka lollipop..
Few weeks back i received the update of Lollipop from YU and I updated the same on my phone by following the instructions as it comes. However message blinks like “Unfortunately your Lollipop has stopped working”. I have taken the screenshot of the same for your reference if you need. 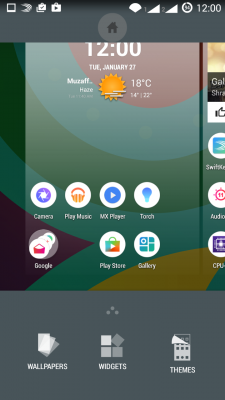 Also after that it asks to use “Lollipop OS” or “Launcher 3”. Please help and solve this problem, I have written many times to your support team on support@yuplaygod.com but haven’t received any reply. Factory reset and format your phone and then report. Ever since I updated it to lollipop, each time I delete any picture from my gallery.. The gallery automatically exits. I’ve reported for like 10 time till date. Also the phone stucks in between and turns off in like 5sec.. Does this erase all my data, I mean like my pictures ??! Does this clearing data erase all my data i e my pictures.. And I’ve got an other problem.. My inbuilt protected app isn’t working.. I open it I gets crashed all the time? What do I do??. no, clearing data will not erase your pictures, it will just erase automatically generated thumbnails, and thus thumbnails of all pictures will be regenerated..
Really let me tell u heart full thanks for this wonderful information about yurek. On net this the most useful information i find compere to others too enhance yur use for phone. This is inherent feature and part of gallery app, If you’re browsing from default gallery app, the videos will always open in default player, not mx player. 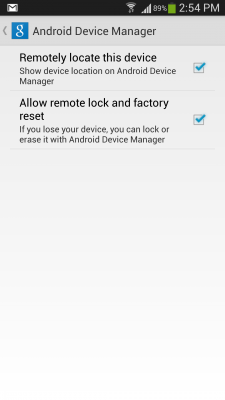 I have activated pattern lock but I m unable to remove it to ‘none’ what should I do??? My phone is not vibrating at all…..it only vibrates at reboot…even my led light is not blinking at all at the notification……. Do a factory reset.. Turn off the phone. In off state, press volume down+power keys together, you’ll enter into recovery mode. 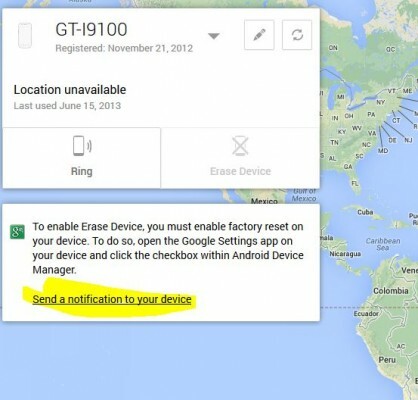 Select factory reset option from there. Long press the home screen, you get setting wallpaper and widgets.. Scroll down and youhave many options over there.. Go to drawer setting enable icon setting..
you need to download and install third-party file explorer app like es file explorer..
Move or Copy the song to the ringtones folder in your files. Thenfollow the general steps to change ringtones in settings. In the tones list you’ll find your copied song to set as your ringtone. I have forgotten the password for my device, and there is no ‘Forgot Password?’ option, like there was before the Lollipop update. Is there anyway to unlock my phone without resetting it? in yureka i cannot delete any file from my sd card using es file explore and similarly i cannot delete any video using mx player…. I need to change my yureka mobiles application page background color to transparent. Its white in color now. There is no option in default launcher. You could use apps like Nova launcher from PlayStore as it is almost similar and has option to set color or app drawar to whatever desired including transparent. After updating my yureka with cm 12 and the other performance update provided by yu , my phone’s speaker stops working suddenly and started working on its own. This has happened 4- 5 times. I have tried switching it off and reboot again but it didnt work. i did add (.) DOT in the start of the folder name in order to hide the pictures in gallery. but after doing i couldn’t fine where i can see “show hidden files” option in yu yureka? Use third-party app like es file explorer and within this app, enable show hidden files option. 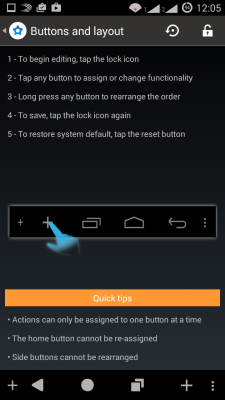 My yureka switches off and restarts automatically. There is no specific time interval or if so, I haven’t noticed it yet. It has happened 4 times till now within 3 days. I didn’t update to CM12 cause I heard reports that it gives lot more problems then the present CM11. Do help me out. I love this phone. The restart issue could be due to number of times.. User reports about CM12 i.e. Lollipop update has been mixed but many have appreciated CM12 upgrade as it solved several of their issues/bugs. But is there a solution for restart issue? It should glow automatically. Go to whatsapp setting and try changing color of led notification there. I am not receiving sound from one of my earphone even though earphones are in good condition and working fine with another mobile. Is there any setting to solve this issue. Saurabh first of all let me thank you for your effort to make our phone much friendly. I tried the method you explained for changing ringtones for different sim but it did not work . I have not updated my phone yet and running still on kitkat. is this the reason? now what can i do to open my mobile tell me….? 2 regular and serious complaint is that my sound gets broken up at receivers end and they can not clearly listen to what i am talking to them.i have to use other phone when some serious talk is going on.pl suggest some remedial measures immediately. 3 also suggest if i should go for update as some people have reported serious trouble after up date. I have upgraded my Yureka to Lollipop about 3 weeks back since then I cannot transfer nor delete data, pics or videos from my External SD card. I get a promp t that the file is read- only and I need root access to enable the delete or copy functions. Please help me solve this issue. Regards, S.
Saurabh please help me out. My Yureka’s speaker has stopped working. I tried disabling audio fx and media storage and enabled it again and rebooted, But nthin happened. After that i did a factory reset then also its not working. I have updated my phone to cm 12 and had faced this problem before also but then i used to fix it again by disabling audio fx and media storage but this time its not working at all. Hi I have a big issue with yureka whenever I rename any file or folder in my file manager the file or folder are not shown how can I get back them please reply me soon I m worried about it. Even after disabling “Vibrate on screen ” option ,my yureka is vibrating whenever I touch on Home menu Button/Back key.it also vibrates when I unlock my pattern.kindly provide solution for this. I have a issue with the battery backup after upgrading to Android Lollipop on my Yu Yurekha mobile phone, the most battery draining app when I check battery status on Settings is “Android System” and “Android OS” are the top most draining apps, the battery back up has gone down drastically , as earlier the battery would last for 24 hours but now its drained within 5 to 6 hours, I have done a factory reset and checked without installing any other apps except the default apps, any useful suggestions to fix this? Go to file manager or use third-party file manager app like es file explorer, then go to videos folder and ensure that .nomedia file is not present. Enable “show hidden files” option in Es file explorer. usually on most of android phones, 50% ram is always in use.. You should check battery stats see which apps take up most of the time on your phone i.e. at the top. 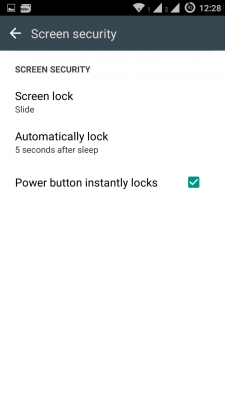 How to change screen lock animation??? 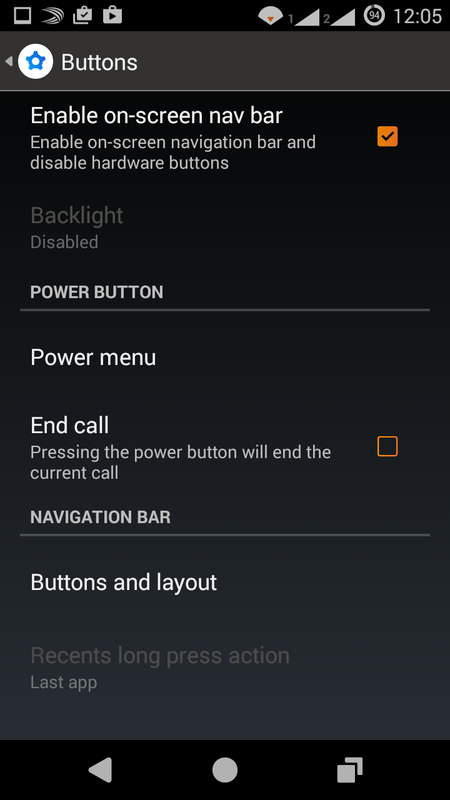 There is no option in my Yureka screen lock animation in display & light setting. Please suggest how to enable it. I reset my camera to reset defaut but now i am not able to see my old photos. please let me know how to recover those photos? I am unable to get menutext in my YU eureka phone. Please guide me to get them back. I own yu yureka, the receiver of my phone call experience echo and unclarity in voice. Pls suggest the remedy. hi…for last two days , i have faced a new problem in my yureka plus. while using some other apps (say gallery), whenever i get a call a pop up window appears on top. but i cannot receive the call from window. either i have to touch the back button to go back to home screen or i have to press the screen off then on button in order to receive the call. kindly help me solving this problem. thank you. How can I edit the message centre number on my yureka ? I get always complaint of Voice break from opposite person who attends my call. I am using YUreka from last 5months. Most of my phone apps don’t respond. There are always bugs generated. Can u tell me why my apps are not responding. Updated YU Yureka today and its acting crazy!!! Suddenly it gets locked every 5 to 10 second even when I am working. It got locked around 15 times by the time I write this!!!! 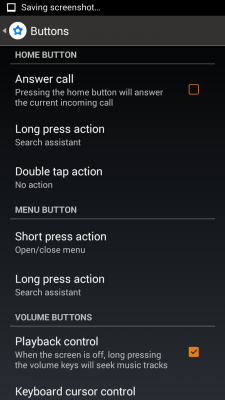 In cyanogen latest update 12.1, I cant find call button in dialler…someone please help?? I mean if we have to dial an unknown number that is not saved in my address book, there is an option for input numbers but not the call button…plz help? I want to know how to hide a video or photo in my yu. I hope a sudden replay. Now new updated version there is no power button option in setting for taking screen shot. How to take back that? Some one has any idea? It is disabled or hide? Hi, I have my yureka plus upgraded to cm 12. I had my browsers on screen and had cynogen’s lock with pattern over that browsers homscreen folder. my brother dragged that folder containing to delete that folder. now i can’t find any of them in the app drawer or in settings>apps> but i can access and open them from google app store. i’ve tried reinstalling the apps. but it still doesn’t work. pls help. thanks in advance. When i connect data connection my phone was shut down and restart failed. not able to shoot video more than 10 minutes. It automatically stops at 10 minutes. please let me know how to enable unlimited in video shooting. Which theme is used in the last pic? The orange one? Hi anybody facing SD CARD issue wit Yureka mobile.? It detects for a moment n displays SD can be removable or SD card can be unmounted.. Please help me. My yureka theme app not working. What is the problem?????? Im using Yureka, when i press app drawer, i get 4 apps per row. Is there any way that i can increase the number of apps per row? I have an yureka u in this device my net is not working and I found a notification that tell me my data has been blocked. What did it mean and hw can I fix it. so can I update it???? any type of problem accur with it???? ?